The statement, “What happens in Vegas, stays in Vegas” doesn’t seem to hold true anymore with everything captured smartphones, social media, and Google Glass. Information is shared instantly with a few click of a button or a couple voice commands. 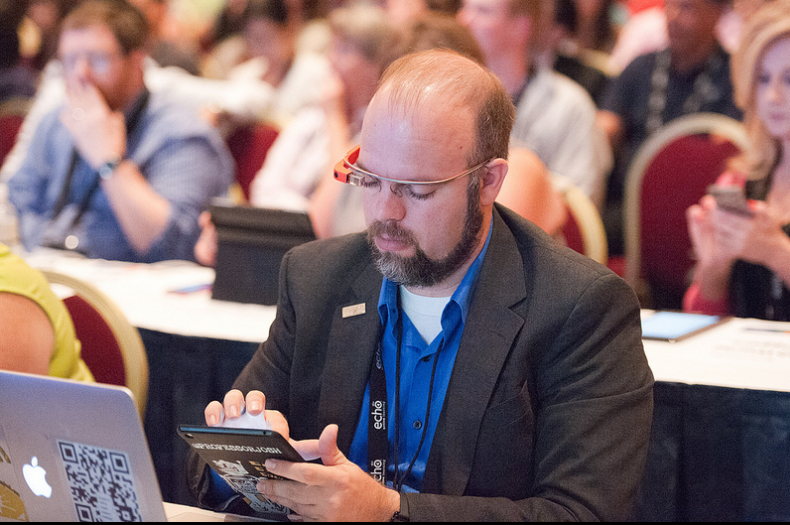 This is great when sharing an experience of a conference, such as Blackboard World 2016 being held in Las Vegas, July 12-14. You can count that I’ll be sharing my experience across various social networks including Facebook, Twitter, and Instagram. How can you follow along with my experience and others at Blackboard World? The easiest way to follow along with various posting from others is the use of hashtag. This will be especially true on Twitter using the hashtag #BbWorld16. Hashtags don’t just apply to Twitter anymore either. Facebook, Instagram, and Google+ all utilize hashtags to help search and sort conversation on a particular topic, such as a conference. Try utilizing the hashtag #BbWorld13 when posting on other social networks as well. 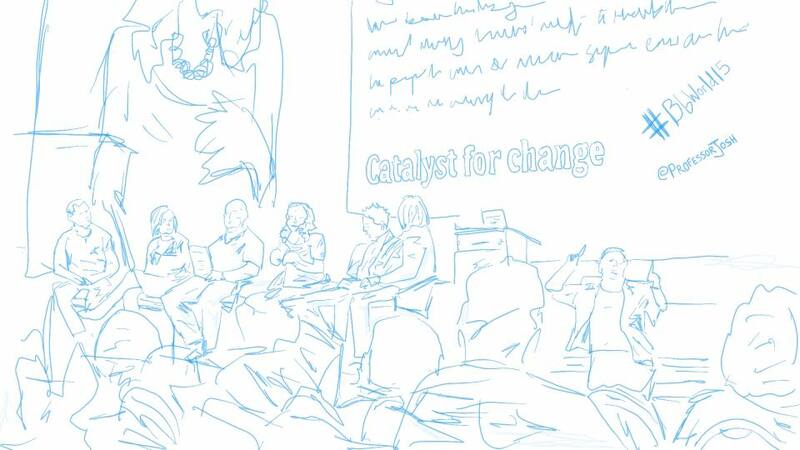 Keep an eye out for my various sketches throughout the conference. Why use social networks, especially Twitter, at a Conference? Networking at it’s best! – You will be able to meet new people, talk about important topics, find out new ideas, and maybe walk away with a few new friends. Ask questions! – Ask anyone a question using the hashtag and you will probably get an answer by another participant at the event or maybe the event organizer themselves. Find out what the best place to eat is for a great hamburger, why the WiFi isn’t working very well, or what that link was the speaker just mentioned. Win prizes! – You never know what sponsors and vendors will be giving away. I have won everything from books to free conference registrations with replying to tweets or finding information on contest only those using Twitter would know about. Share knowledge! – It’s a great way to share knowledge with some of the best takeaways from a session or keynote that could be useful for those that could not attend or happened to attend another session. What not to post on social networks at a conference? Please don’t Dtweet! – You are away at a conference and might indulge in a few beverage but be warned that Dtweeting (Drunk Tweeting) probably isn’t the best idea. Especially when you boss or potential next employer sees those postings. What would your mom say? – I always love to say to my students and others learn more about social media, “Don’t post anything you wouldn’t want your mother to see.” This is a good rule of thumb with either public or private posts. You know how it will be shared or who is taking a screenshot of what you just posted. Harassing is tacky! – Don’t be the person in the audience heckling a speaker or bad mouthing another person at the conference. Keep those comments away from the social networks. Here are 30 Things You Should Not Share on Social Media by Jeff Bullas. 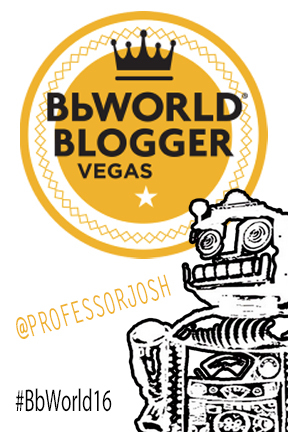 I hope you will share this, follow along in the #BbWorld16 conversation, and network like a pro at the conference.